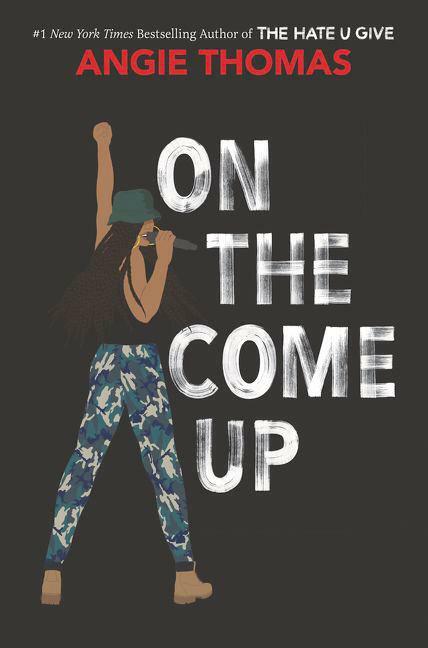 Angie Thomas’ newest offering to the young adult literary landscape arrives lyrics-first through the voice of a femme protagonist with a fever for becoming hip-hop royalty. Like Thomas’ debut, “The Hate U Give,” this story is tethered to the streets of Garden Heights, a tough, pre-gentrified neighborhood, which could be any urban enclave in the United States. Brianna “Bri” Jackson, a spry emcee with a hatred for ACT test prep and a love for hip-hop, battles everyday issues with her journal rhymes while side-eyeing the effects of racial, gender and economic disparities. After a school security breach, Bri moves from the page to the recording booth where her figurative language sounds more thug life than her secondhand shoe game would imply. This exhibit of colorful reimagining is where her lesson of lyrical integrity begins. As the youngest daughter of a grieving mother, Jay, a survivor of the drug addiction epidemic, and Lawless, a murdered underground battle rapper she never met, Bri is constantly looking for ways in which her father’s memory and her present image intersect. As an emcee, she often finds herself spitting rhymes in the hopes of creating a destiny in which she will be crowned queen on her own merit and rewarded with enough money to take care of her mother and brother. Until then, she sells snacks to help her “need for fly kicks” fund and rhymes about it with the wit of Notorious B.I.G. This coming-of-age story depicts structurally racist moments, such as black children being followed while grocery shopping, presented in a way to invoke action from allies and provide a nod of recognition from teens of color. Micro-aggressions are also examined as Bri begins to question the savior complexes of well-meaning schoolteachers. The text challenges its readers to think deeply about white privilege, police brutality and the circumstances designed to break the spirits of young people of color. Bri’s older brother, Trey, a star student who once attended Bri’s current private school, has recently graduated from college and returns to contribute to the household with his earnings from the local pizza shop. His inadequate job opportunities are a blaring reminder that good work doesn’t always pay off, which makes Bri more desperate to help her family. Meanwhile, Bri’s paternal grandparents are stage left, serving as a scolding reminder of Jay’s past addiction. Bri’s maternal aunt Pooh is stage right – the defiant gang-affiliated drug dealer and cheerleader of her niece’s lyrical abilities. She is Bri’s No. 1 supporter but also her Achilles’ heel when an opportunity to be a hip-hop star arises with her father’s former music manager. Bri’s best friends, Sonny and Malik, complicate the scenario with relatable stories of coming out and the “friend zone” inquiry. Bri navigates these obstacles with tongue-in-cheek narration as this brilliant burgeoning young writer learns how expensive it can be to follow your dreams. This book beckons young readers and music lovers alike with an homage to the forefathers of hip-hop that also assures the feminine voice is never dismissed from the cypher.